ASW-20 "WA" ( N24WA, serial # 20488) was imported by Wally Scott of Odessa Texas in late 1981 and it first flew in the spring of 1982. Wally flew the ship on many cross-country flights, including several award-winning Barringer Trophy flights. When not flying, the ship was hangared in Odessa. The only reported damage history was a heavy landing from a failed auto-launch that collapsed the gear. A new gear assembly was installed and the minor damage repaired. 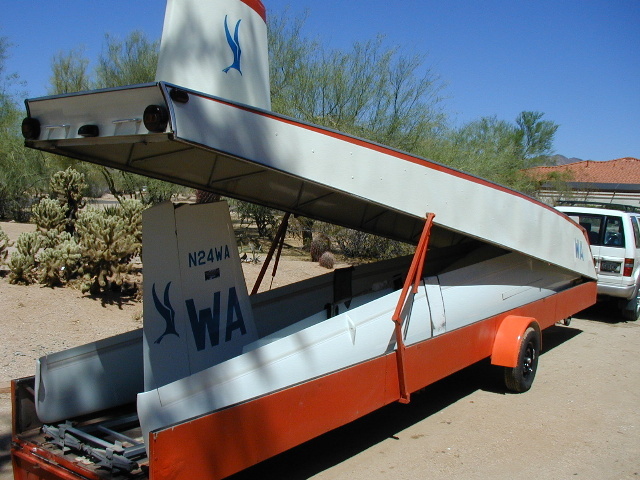 I bought the glider in the summer of 1999 when Wally gave up flying due to ill health. At the time, the log book showed 1690 hours. 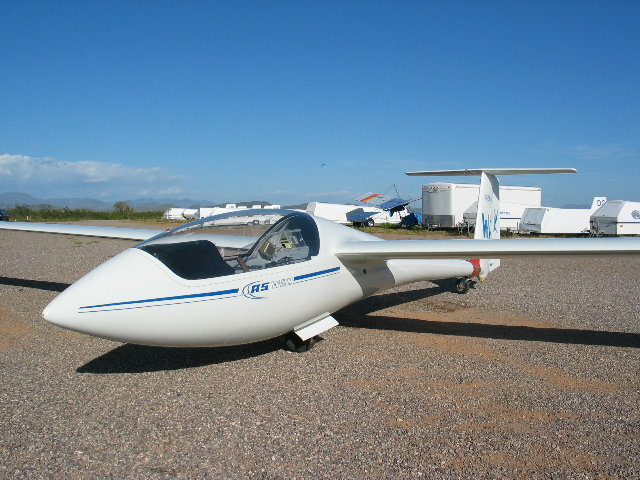 From 2000 on, I have flown it in Arizona Soaring Association contest series, winning the "B" class that year, and in three Region 9 contests. In 2001, a trailer wheel and its axle were slightly damaged in a minor traffic accident on my return from Hobbs and as a result I had a new axle and tow bar assembly fitted. This now includes hydraulic brakes. 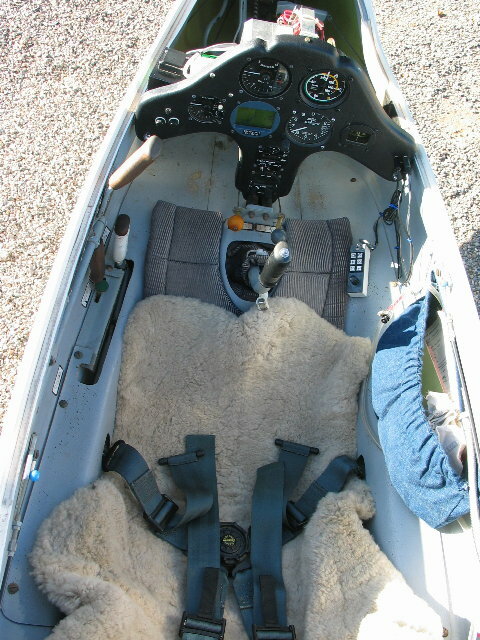 The glider has approximately 2200 hours, no damage since I have owned it and had its latest annual in April 2004.